1979 J45 30th Anniv. 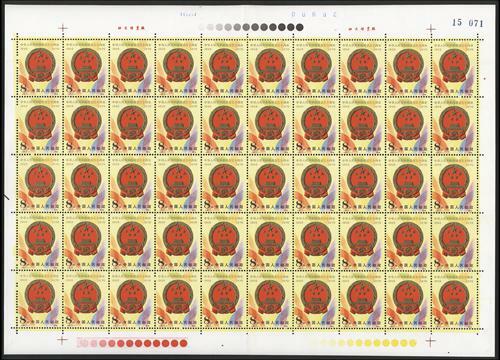 of Founding of PRC (2nd series) in sheets of 50 x 3 (Scott 1500), totally 150 stamps. Folded along perfs. Fresh MNH. Very Fine.